In celebration of the 30th anniversary of Nike‘s “Just Do It” slogan, the popular AM model features a black mesh upper accented by a TPU cage done in gradient tones of teal, purple and pink. Additional detailing comes in the form of “Have A Nike Day” embroidery on the tongues, 3M-framed black Swooshes, black toe caps, and matching tumbled leather mudguards. Rounding up the design of the colorway is a white midsole paired with a gradient torsion plate, and a black rubber outsole. 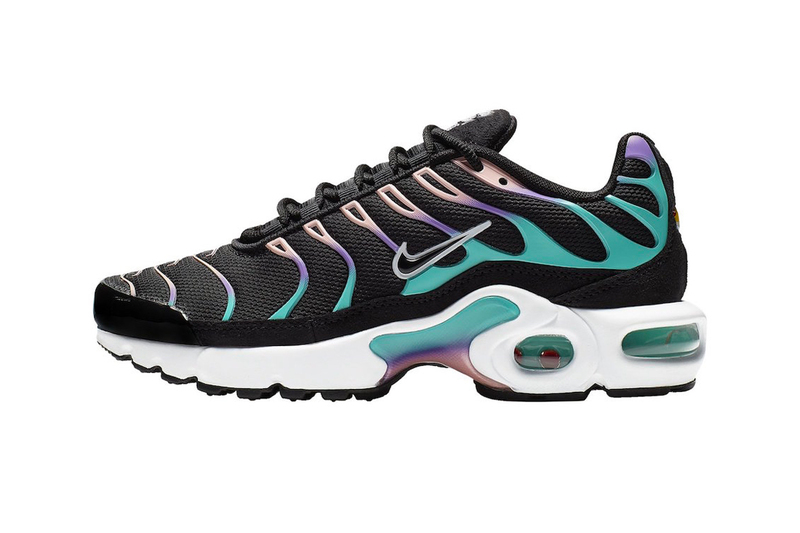 No official drops dates just yet, but stay tuned for the release of the Nike Air Max Plus “Have a Nike Day” come March, in celebration of Air Max Day 2019. In case you missed it, Nike SB recently gave the Team Classic a Tom Sachs-inspired makeover.